The 4-axis drone design is popular for the unmanned aerial vehicle (UAV). It includes a flight controller and four electronic speed controllers (ESCs) –one for each electric motor. The flight controller is equipped with a radio for receiving the flight instructions from the pilot and inertial measurement unit (IMU). The NXP LPC15xx series MCU, based on the ARM Cortex-M3 core, has a diversity of peripherals and extremely low power consumption. It features a CPU frequency up to 72MHz, a three-stage pipeline and a Harvard architecture, 256KB on-chip programmable flash memory, 36KB SRAM and 4KB EEPROM. It is mainly used in motor control, solar inverters, motor drivers, home appliances, building and factory automation, industrial and medical and digital power supplies. The main features and advantages of the LPC15xx series will be described in this article. The reference design of the elevator call box is based on the Kinetis ARM Cortex M0+ MCU KE06Z64VLD4. The KE06 is a 32-bit MCU of the Kinetis E series and it operates under 5V power supply with good EMC and ESD performance. It, supports up to 48MHz clock and integrates with a CAN bus. This reference design aims to help customers reduce their development costs and shorten the development cycle. The reference design of NXP’s three-phase electric meter adopts such standards as Q/GDW 354-2012 Functional Specifications for Smart Electric Meters and Q/GDW 356-2012 Model Specifications for Smart Electric Meters by State Grid Corporation of China. This meter adopts NXP’s ARM Cortex™-M0+ 44PINKM14 as the measurement IC and ARM Cortex™-M0+ KL36 100PIN KL36 as the control IC. The design aims to accelerate the time to market and meet the requirements of electric meter customers and partners. It can be custom-made according to customers’ special requirements for the power supply system. With the improvement of people’s living standard in China, sweeper robots originally sold in the U.S. and European markets have found their way into the homes of ordinary people, and they are affordable to more and more people. They will soon be an indispensable help to every family like white goods. Also, they will develop from a low level of intelligence to a higher one, gradually taking over manual sweeping. In the automotive market, more and more customers are choosing to have vehicle driving recorders installed in their vehicles. In this recorder, the GD32 MCU has a strong application advantage. When the recorder is installed in the vehicle, the MCU will, by driving the GPS/Beidou module, access information about the vehicle’s current location and, through the GPRS module, send the location and driving information to the designated server for the user to query and use. A micro-printer mainly refers to a printer with a width of less than 84mm. It can be a POS printer (commercial POS and financial POS), tax control printer, or the built-in or external micro-printer for such devices as ATM, ECR, and KIOSK. It is widely used in various industries, such as finance, retail, catering, lottery, transportation (including taxi, air ticketing, road and bridge toll), filling station, medical treatment and public health, postal service, utilities meter reading, mobile police system, and mobile government administration system. The desktop and imbedded contactless card reader mainly consists of the GD32F103 series MCU, NFC reading head chip, DCDC power chip, buzzer, and interface protocol conversion chip. It is mostly used in the all-purpose card for such scenarios as elevator control and management, filling machine, recreation park management, parking lot management, and micropayment management. In industrial products, industrial control systems such as the frequency converter and server need opto-coupler products. High-speed opto-couplers are applied in the isolation and current detection in industrial control products. In modern vehicles, LED lamps are indispensable products for both in-vehicle lighting and indication. Everlight offers the most diverse and innovative lighting components specific to out-vehicle lamp applications, ranging from a variety of auxiliary lights and headlamps to cornering lamps, braking lamps, and daytime running lights. These products comply with AEC-Q101 and ECE, guaranteeing driving safety. Diodes provides a wide range of analog and discrete devices for automotive electronics products, which are both AEC-Q100 and AEC-Q101 certified, able to meet automotive electronics requirements. Diodes provides the consumer electronics market with a diversity of semiconductor devices known for their high performance and high quality, such as MOSFET, bipolar transistors, ESD devices, Schottky and fast recovery diodes, TVS, LDO, DC-DC, sensors, protective switch, and audio amplifier ICs. Diodes provides AC products with a large number of quality and reliable discrete devices and analog devices, such as relay/valve drive ICs, motor drive ICs, high-performance amplifiers and comparators, voltage reference ICs and CMOS and LDO, current testing ICs, reset ICs, standard logic ICs, eFuse, DC-DC, and AC-DC. Automotive electronics are electronic systems and products used in automotives to increase their performance. They include the vehicle audio system, navigation system, vehicle safety system, driving recorder, vehicle information system, and vehicle home appliances. The router, also called the gateway, is used to connect multiple logically isolated networks, while the so-called logic network is a standalone network or a sub-net. When data is transferred from one sub-net to another, the transfer can be completed through the routing feature of the router. Therefore, the router has the function of judging the network address and selecting the IP route. It can create flexible connections in an environment where multiple networks are interconnected; it can interconnect various sub-nets through completely different data packets and media. The router only receives information from the source or other routers and is an interconnection device at the network layer. With a composition similar to that of the microcomputer, the server is composed of the CPU, hardware, memory, bus, and so on. As these are custom-made according to specific networking applications, the server greatly differs from the microcomputer in terms of processing ability, stability, reliability, safety, extensibility, and manageability. With the advancement of information technology, in particular, the network plays an increasingly significant role, imposing higher and higher requirements for the data processing ability, safety performance, and so on of its own information system. The Set Top Box (STB) is a device connecting the TV set to the external signal source. It converts compressed digital signals into TV contents and display such contents on the TV screen. The signals can come from cable, satellite antennas, broadband network, and terrestrial broadcast. In addition to the images and sounds provided by analog TV, the STB can receive digital contents, including an electronic TV guide, Internet webpage, and subtitles, so that the user can watch digital TV programming on TV and carry out interactive digital entertainment, education, and commercial activities via the Internet. You can learn more about us here! Everlight has launched a total series of UV LED products, such as the 3020 and 2835 series. Chiu Road, Kowloon Bay, Kln., Hong Kong. 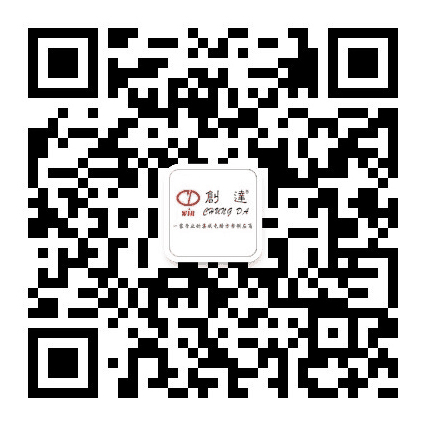 ADD:Rm 603-604,No.2.XuHui HONGQiao International Plaza,288#.